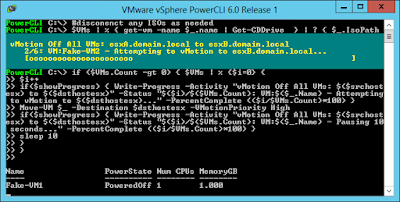 I'm using VMware vSphere 6 with no DRS enabled on my clusters. Initially, when I wanted to perform maintenance, it was a bit of process with many clicks through the web GUI. 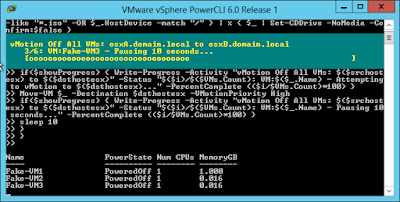 I've been tinkering with PowerShell for years, so it was natural to start banging on PowerCLI to make my life easier administering my VMware clusters. I've been using and growing the following script for the past 4 months. It seems to be making my ESXi patching and maintenance a little less laborious chore than the prior click-storms. 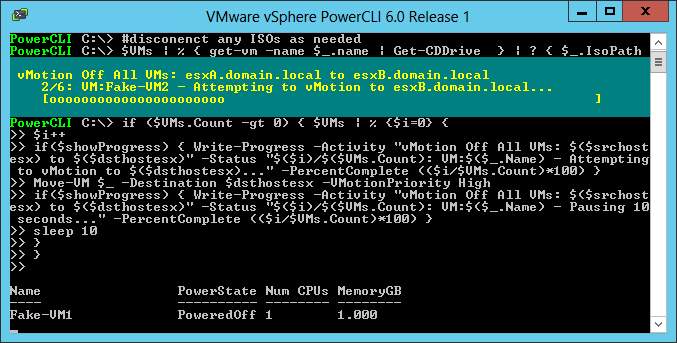 Script to vMotion VMs off one ESXi host to do maintenance - non-DRS user. 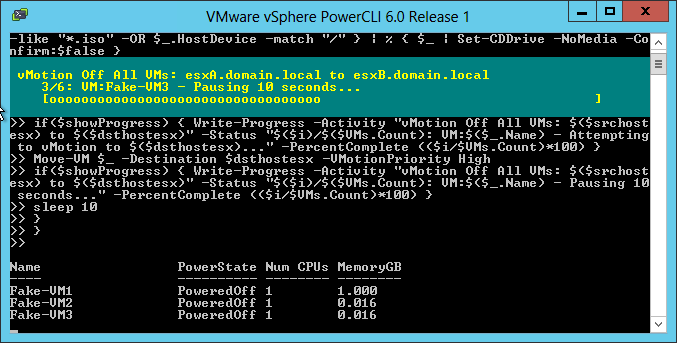 perform some maintenance on the host, then migrate the VMs back to host (B to A). and maintenance mode for standard vs. Virtual SAN hosts.